I've written a couple of articles on this subject and over the years, knowledge grows, tools change, and even our understanding of equine color DNA improves. For the most part, hobbyists don't want to know the nitty gritty of DNA or what causes a double dilute color in a horse. Most folks want to be able to paint a horse that matches the hard work they put into the rider. If this article proves helpful, I hope to write a series detailing the most common equine colors and how to achieve them. They will not be exhaustive by any means but they should give the artist a solid foundation to create realistic and visually pleasing horses. Various Mediums: For the smaller scale miniatures, most people are going to paint in acrylics, some in oils. Larger scales (1:32 and up) can get more creative, with the use of dry pigments, pastels, and even airbrushing. In this article, we'll discuss techniques used with acrylics. In the past, I used Citadel paints but then switched to Vallejo. Now that my equine finishwork hobby has moved to larger scales, I use dry pigments. So, where possible, I will try to post at least the Vallejo equivalent of color...but sometimes Burnt Sienna is going to be Burnt Sienna! Completely prepped mini primed in the color of choice. Lighter horse colors look better with gray or white primer and darker horses with black. It also depends on the feel you want for the color. Gray and white primers make the colors pop a little more. Black primer tones the colors down a bit. Most of the LOTR Rohan horses I painted were primed black for more subtle coloring. Acrylic Paint such as Vallejo Model or Game Color or your preferred brand of acrylics. Acrylic Retarder If I'm using Vallejo paints, I use their Retarder Medium. If I'm using another brand of acrylics, I prefer to use Liquitex Slo-Dri. In my experience, Vallejo paint doesn't really like the Liquitex. It works but the paint isn't happy about it. Again, select the brand you like. Spray Sealer such as Testors Dull Coat or similar brand. Brush-on Gloss Varnish make sure it is acrylic based and water soluble, Vallejo has a gloss varnish, as well as Liquitex and Delta. Standard painting supplies, several brushes appropriate for minis, water, paper towels...you know the drill! Important Note: Even if you are extremely familiar with horses I strongly suggest Googling some pictures of real horses in the color you want to paint. Looking at a reference photo of a real horse helps. No matter how many horses I paint or how familiar I am with the animal, I always paint with a real horse reference. I know it seems like a brown horse should be a simple thing but if it really was, you wouldn't be reading this. Find a reference! Painting a Bay Horse: A bay has a brown body with black points. Points are the mane, tail, legs and even the ear tips. While this color is very common, the sheer variety is amazing. There are bays with extremely dark brown bodies also called mahogany bay. There are bays with a lot of red in their brown coats known as a blood bay and there are bays with very light brown coats. By just varying the shade of brown you could paint several different horses...all bay. In Illustration 1, you see three bay Rohan horses which may appear similar at first glance but are actually very different. Let me describe the technique then we will discuss specific colors. Select your base color and squeeze a small amount onto your mixing palette. Add a couple drops of water to thin and stir, then mix in the acrylic retarder. Retarder is not a thinner and adding too much can ruin your coverage or reduce the paint's ability to dry and maintain cohesion. Thinning your paints with water prevents brush strokes after you thin the paints then add the retarder. The second color is the highlight. Feel free to experiment with the mix, you can simply lighten your base color; pick a lighter brown/beige, or mix it with a yellow – do not use a bright yellow, something closer to an ocher shade is better. 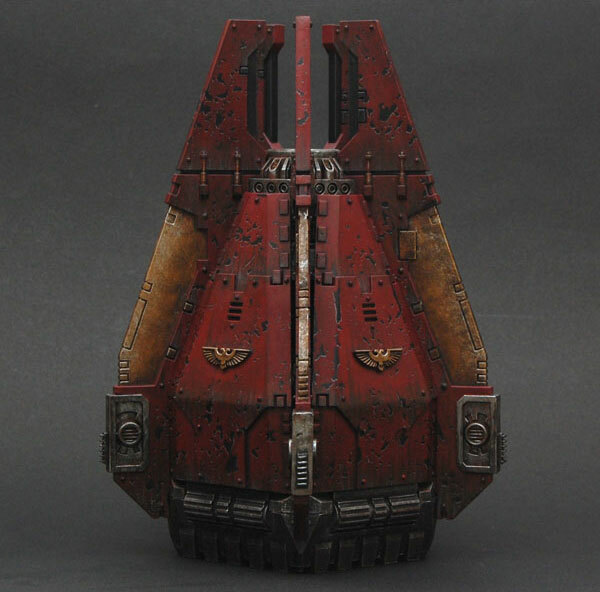 Or mix with a red - again go for a natural earth tone red, rather than something that you would use to paint a fire engine. The third color will be your shadow, I recommend mixing your base color with a bit of black but don't go too dark. If you need to you can always make it darker. Remember to add retarder to all of the mixes. Important Note: Whenever adding retarder, the general rule is 50/50 but we are dealing with such small amounts of paint, I generally just add a couple of drops until it has a consistency I like. The Technique: This takes a bit of practice and a lot of adjusting to find the methods that are comfortable to you. Most mini horses come complete with tack. I use the lines of the tack to divide the horse into sections. Retarder extends drying time but not a whole lot. So don't dawdle! Also, it's a good idea to keep some toothpicks or whatever to stir your paints because they have a tendency to separate pretty quickly. Now for the colors, start with Vallejo Model Chocolate Brown for the base, make the highlight color Beige ,and the shadow Chocolate Brown mixed with Black. Mix until the Chocolate brown is close to black but not quite. Important Note: You can also mix up some straight black with retarder in case your shadow isn't dark enough. One or two tiny dots of black can be blended in if you need more. Be careful! If it goes too dark it can be difficult to back out without a lot of layers and we do not want too many layers! Using the Rohan horses as an example, we'll divide them into sections. I start with the neck on the left hand side and apply my base color all the way to where the reins are and I have to stop. Because of the retarder, this will stay damp for a bit. I clean my brush, wipe it off, then go to the shadow color. I put small amounts in the deepest muscle recesses of the neck. Again, this is a strong color so don't put too much. I switch from keeping paint on my brush to continually cleaning it and wiping it dry or even switching to an unused one. It simply depends on how much paint you are moving around and its color. It is very easy to get too much paint, over-blend and end up with something that resembles gooey mud. If you are moving too much paint or the paint is shifting too dark or too light, you will either need to clean it or switch it out but you don't want to take a paint brush full of shadow and black and slap it down on the body. As you work, and I really mean it when I say it takes practice, you will get to the point where you have nice smooth shading in the recesses of the muscles. With your clean brush pull the base color into the top of the shadow along the groove of the muscles. Again, if you find yourself picking up too much black, clean the brush. Sometimes it is sufficient to drag it across a paper towel to save time since your acrylics really want to dry despite the retarder. Be aware of the various strengths of the colors you are working with. Most often, the shadow will be the strongest and can quickly overpower everything, especially as you work it into the base color. This is why you want to start with a clean brush. As you pull the base color into the shadow to blend, do not bring it down so far that it goes into the muscle recesses unless you have them extremely dark. For one, you will pull up too much shadow and the other possibility is you can make the recess too light. I apologize, this illustration is not a bay, but this horse demonstrates the muscle contours in the neck and where the shading and highlights need to go. Sometimes the muscle detail can be difficult to see. The first picture is how the horse looks normally. On the the second one, I bumped up the Local Tone Mapping to more clearly accent the lines and where I applied shading and highlights. As you work to blend the colors, look closely at the directions of the muscles. You want to go with these, not against them. You also don't want to leave such sharp color transitions that it looks like the horse has warpaint. When you have the shading blended into the base color, you need to move immediately to the highlight color. Blending the shading shouldn't take very long, we're not talking about a large surface area here. On the high points of the muscles, with a clean brush, apply the highlight color. Again you do not need a lot but it is usually a bit more than the shading. If the base color is becoming difficult to blend, you can add a little more and continue with the process. Just be aware that you do not add excessive amounts. That will not only obscure detail, with the retarder it might not dry properly. Just like regular paint applied in a single, thick layer, adding too much with retarder can result in the top drying before the bottom and not curing correctly. When the section is the color you desire, with the appropriate highlights and shadows move on to the next and work in the same manner. You want to make sure you match the blending you achieved in the first section. You don't want it significantly lighter or darker. Maintain your blending and color graduations through each section until the body of the horse is completed to your satisfaction. And even if you don't get the colors to your satisfaction, as long as they are reasonably close, you have done well. For those who are familiar in working with retarder, it probably won't be too much of a transition. But if you've never worked with it before, it can take a lot of adjustment. This will come with time and practice. In the case of our Rohan horses, they have armor covering their heads. I simply used the base color and a tiny bit of shadow on the exposed areas including the ears. For the muzzle, I like a bit of gray around the nose and mouth, some horses will have what is called a “mealy” muzzle that is light tan. It's instantly recognizable if you think about a mule. But again, you really need a reference photo if you want to attempt this. This next Illustration, while not a Rohan horse, best demonstrates the areas of gray near the eyes and around the muzzle. The Vallejo Black Gray is a bit too dark, so I lighten it with Sky Gray. For this particular effect you want the paint nice and thin but you do not need Retarder. Apply in layers, allowing the thin paint to blend with the color upward into the nose. Using this same color, paint the inside of the ears, the inside of the nostrils, paint underneath the horse between the back legs, and paint between the back legs under the tail as these are also areas where the skin is close to the surface. The eyes and any white markings on the head will be done later. For now, set it aside to dry completely. If you desire, you can work on another one while you wait and simply lighten or darken your base and highlight colors. Important Note: If you want the horse to have 1 or more white socks, do not apply black paint where you want the sock. It will take forever to cover with the white. See specifics in the section below this one. After your horse has dried, now it is time to apply the black to the legs. You want your Black to be thin but not so much that you are applying more water than color. 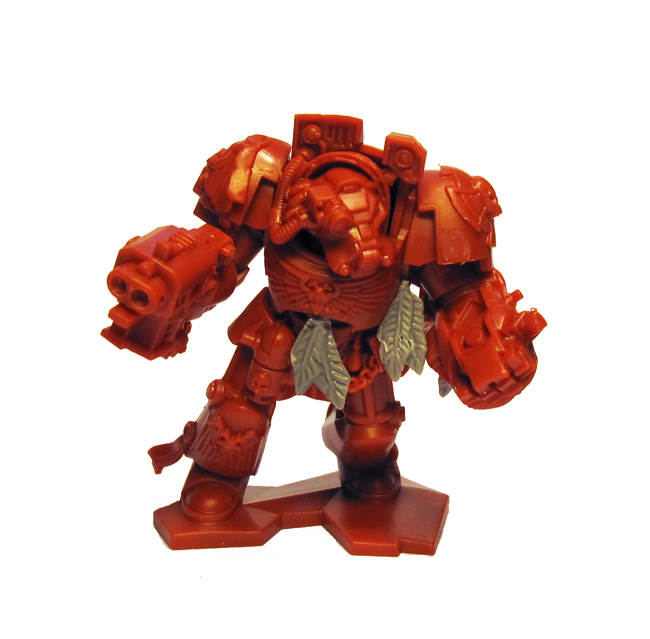 If you have a bit of sprue you can test on it first. The paint needs to have a bit of transparency. Starting at the bottom of the leg, apply the black and work upward to just over the knee and hock joints. The color will be relatively even all the way around the leg, but as you can see in Illustration 4, it's not perfect, you want it to be a gradual transition. Applying the thinned paint in layers is the trick to this. Move up the leg but don't stop in the exact same spot every time. Pull the color upward but sometimes go a little higher or a little lower than the last time. Because the paint is so thin, you will have to stop between layers and let it dry. When the layers begin a nice transition at the joints, leave those alone and continue applying paint only to the lower leg. If you need to, you can thicken the paint slightly to make this easier – but watch those brush strokes! If you desire, you can leave all four legs black, that is perfectly acceptable. There are several types of white markings on the legs. Ranging from a thin white band around the top of the hoof to all the way up the leg and anything in between. This is where a real reference really helps. After going to all of this effort you don't want to bomb the socks! For white markings on the legs, before you apply the black, take a colored pencil and draw a line where you want the highest point of your sock. Don't paint black in that area. If you've primed black, you may want to take some gray acrylic and apply that to the area of the sock first, this will help reduce the layers of white needed for good coverage. Unless you have a show horse, white markings are not going to be perfectly white. I use Off White or even Ivory for the markings on the legs. Once again, you want thin paints and several layers. This will probably take the longest to get a good solid coverage but you'll get there so keep going. Just like socks can come in a variety, so can facial markings. If your horse does not have armor on the head and you want to paint white markings, find a reference and follow the same steps as you did for the socks. In areas where there is very little fur, such as around the eyes and especially the nose, white can also show pink skin. So if you have a snip at the end of the nose, down by the lips, add a little fleshtone. Try Vallejo Light Flesh and thin it extensively. Although the Illustration isn't a bay (She's a Chestnut Pinto) she's a good example of gray on the muzzle and just a touch of pink on the nose. Keeping the white thin and painting in several layers, you can work to get faded transitions. 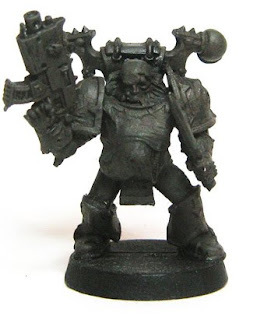 For miniatures, you don't want a really stark white line on the face, it stands out a bit too much. The eyes can be difficult, especially on a mini. Too much detail and you have something that looks like it's on crack. Too little detail, and they fade into nothingness. Refer back to the Chestnut Pinto and study the mare's eye. For the first layer, cover the entire eye within the lid an Off White or Ivory. The next layer will be a black oval but unless the eyes are wide open, like our mare above, you'll want the top and bottom of the oval to disappear under the lids and you'll also want to leave small crescents of Ivory in the corners of the eye. The next layer Vallejo Cork Brown works pretty well. Paint that in the same oval as the black only leave a thin outline of black showing, then go back to black one more time and paint the horizontal pupil. If the eye looks too stark you can soften it with a small, and I mean a very small amount of Brown Ink. The mane and tail need to be black, but how black is entirely up to you. I like to add depth by using black and glazing browns on the high points. The first step is to basecoat the mane and tail black. You need it thinned but this time it's not for brush strokes. It needs to be thin enough to descend into the recesses but not so thin it runs into your wonderful paint work! . For the next step you do not need the retarder. I typically “glaze” the highlights but you can also dry brush. Dry brushing has a tendency to get chalky, so I rarely use the technique. Take your Chocolate brown and carefully hit the high points of the hair detail on the mane. Allow to dry. Lighten the Chocolate Brown a bit and hit those same areas but do not cover as much area. As you move progressively lighter in the brown highlights, each layer also covers smaller area until you reach the lightest color at the highest point. Another method is to use inks and washes but you need to be very careful it doesn't drip onto the body. At one time, I faithfully used Citadel Inks and Washes, then moved to Vallejo. But these are pricey and difficult to get in my area. I found a set of Windsor & Newton Inks that come in six different colors. They are fantastic and play well with other paints. I can water them down or use them straight out of the bottle. In Illustration 7, I used W&N Peat Brown Ink right out of the bottle. It sunk into the detail enough that it looks like separate locks of hair but not so much it obliterated the Black in the deep recesses. And yes, I had to be very careful not to drip on the horse. While the ink was still a bit wet, I thinned some Vallejo Beige and lightly applied that to the highest points on the mane. It blended on its own, leaving a subtle but very nice highlight. The amount of brown or highlights you decide to use on a bay is entirely up to you. If you want the mane completely black, follow your black basecoat with some blue ink or a dark blue wash. Don't be afraid to experiment with different techniques, mediums and colors. Changing few colors or using a different technique can drastically change the appearance of the horse and when you are painting an army, this can be very useful so you don't get identical animals. Hooves can be two colors dark gray or shell and unfortunately there is no hard and fast rule for all of them. I can only say MOST of the time horses with black legs will have dark gray hooves. MOST of the time horses with white legs or a white sock will have shell colored hooves (even if the white sock is on a black leg). Some times, within that white sock there can be ermine (black) spots. And you can see stripes of color in the hoof. But these details can be as varied as there are horses on the planet. 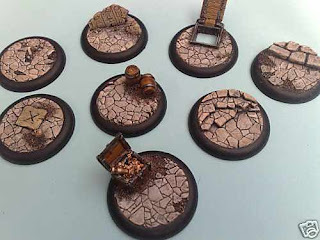 For gaming miniatures, hooves might be obscured with adding dirt, grass or terrain to the base. In this case, stick with the basics; black leg = dark gray hoof, white leg or sock = shell colored hoof. For Shell I mix the flesh tone color I used for the nose and mix with a touch of Ivory. Just for something interesting and to give you an idea of what you're dealing with, the next Illustration is the hooves of my real life horse, Isaac. Isaac is almost completely black and he has one little sock on his right hind. In this picture you can clearly see the ermine spots. His hoof is shell colored but also excessively stripped. Although you can't see it very well, the left hoof at the top of the picture is dark gray but it also has faint stripes. In this case, lighter gray. If you have a mini where you can see at least one hoof, you will probably want to add a bit of detail. For the most part, because it's such a small area, it's really simple. On the shell colored hoof, to add a hint of streaks or lines, apply a bit of brown ink. Take a tortillion (heavy paper wrapped to a point) or a pointed q-tip and gently make a few tiny vertical lines in the ink. Do only a two or three and don't space them evenly. Allow the ink to dry and it will add to the detail without going overboard. For a dark gray hoof, I use the same paint mix I used for the muzzle, apply black ink and do the same thing as I did for the shell. If you have a hoof that's raised and you can see the bottom of it, all you have to do is add ink. If the hoof is shell, then paint this same color on the bottom and hit it with brown ink, this not only darkens, like he's been walking in dirt, but it helps add depth. For the dark gray hoof, do the same thing only use black ink. If either turn too dark, just hit the high points very carefully with the original paint color...just a touch. If you have a model and you want to go all out with the stripes like you see in the Illustration above, well, here's how...and I hope this is a larger model otherwise you'll probably drive yourself insane. So don't blame me – you've been warned! You will need assorted colored pencils (dark brown, tan, burnt sienna and white), pointed q-tips, brown and black ink, and brush on high gloss varnish. For the shell hoof, paint the basecoat same as above. Make sure it's good and dry. The area where the hoof meets the bottom of the leg – right where the fur stops and the hoof starts growing is called the coronet band. It's basically the same as your cuticle on your fingernail. Right along that line, take the white colored pencil and mark the coronet band all the way around. For dark gray hooves, the previous techniqueremains the same but change the colored pencils to black and light gray. Don't forget to blend! If you wish, ou can go over the shell hooves with brown ink and the gray hooves with black ink if you think you need to soften even more. But if you like them as they are don't hesitate to leave them as is. Important Note: I've mentioned brush on High Gloss Varnish several times but neglected one very important point. Save the high gloss as your very last step! When your model is completed, set it aside and allow the paint to completely cure at least 24 hours, preferably longer. When it's cured you can apply the sealer of your choice. I use Testors Dull Coat. After the sealer has cured, then apply the gloss varnish to the eyes, the inside of the nose and the hooves. Hopefully, you now have a completed bay horse. He may not be perfect as some of these techniques require practice and adjustments. By continuing to work and develop blending techniques, color mixes, and other skills, you will soon see your horses improving. While this article has been rather lengthy, many of the techniques will apply to other colors and the specifics will not need to be as detailed in future articles. I hope you have found this informative and helpful. I will try my best to assist questions, especially if anything is unclear. All Text and Images are Copyright Kathryn Loch. Do not use or reproduce without permission. I wrote this to post on my favourite forums. While I was working on the large Sphere Wars resin demon, there was good feedback and lots of questions on how to merge the various colours I had used across the skin, so while working on the left leg I decided to take a series of step by step pictures of the same area from the same angle and in the same lighting conditions, in order to cover the blending of the different colours across the skin. Do ask if you have any additional questions, I appreciate the detail in the later part is a bit light, but time was limited. The whole work in progress thread can be seen on The Basement, starting at the end of page 40. There is a short break on page 42.